Our faculty consists of caring educators who are leaders in their respective fields. Many are Chairmen, Deans, tenured Professors and department heads who give dynamic presentations and insight into their specialties through their respective continuing medical education course. They have a passion for women’s health and will give you the information you need to help you pass the boards and make changes in your practice. They offer the most comprehensive, up-to-date information available. This includes the latest guidelines and recommendations from ACOG and other organizations such as CDC, WHO, ASRM, SMFM, SOAP, SGO, AUGUS, and many more to make sure you are ready for that exam. Disclosure: Perinatal Resources, Inc. requires that faculty participating in our continuing medical education review courses to disclose all relevant financial relationships that they, or their partner/spouse, have had in the past 12 months with any relevant commercial interest. Disclosures then collected, reviewed for potential conflicts, and then resolved to ensure that the activity is free from bias. All handouts are reviewed before the start of the activity, and conflicts of interest are resolved. We are pleased to provide a learning environment free from commercial bias. Perinatal Resources, Inc. does not receive commercial support. Dr. Rink is the Director of Perinatal Genetics at the Mount Carmel Health Systems and Assistant Professor of Pediatrics, Division of Molecular and Human Genetics at Nationwide Children’s Hospital in Columbus, OH. She received her medical degree in 2002 from Indiana University School of Medicine. She completed her residency in 2006 from The Ohio State University and in 2010, Dr. Rink completed her Fellowship in Maternal Fetal Medicine/Genetics from The Ohio State University/Nationwide Children’s Hospital. Her major interests, both clinical and research, include genetics, prenatal diagnosis and fetal treatment. She has published 7 articles and 5 book chapters. Dr. Rink has stated that she and her partner/spouse have had no relevant financial relationships to disclose. Dr. Rossi is a Clinical Assistant Professor at University Hospitals at Case Western Reserve University School of Medicine in Ohio. She received her medical degree in 2004 from the University of Pittsburgh School of Medicine in Pittsburgh, PA. In 2008 she completed her Residency in Obstetrics and Gynecology from the University of Rochester, Rochester, NY. In 2011 she completed a Fellowship in Reproductive Endocrinology and Infertility from Harvard Medical School in Boston, MA. Dr. Rossi’s major research and clinical interest include lifestyle and infertility, polycystic ovary syndrome, in vitro fertilization and recurrent pregnancy loss. She has published 15 articles and 3 book chapters. Dr. Rossi has delcared in writing that she and/or her partner do not have any financial relationships with any commercial interests relevant to her presentations. Dr. Quimper is an Assistant Professor at the Ohio State University Medical Center. She received her Medical Degree in 2011 from the University of Pittsburgh School of Medicine. In 2015 she completed her residency at the Magee Women’s Hospital of UPMC. Dr. Quimper’s major interests in clinical and research include global health and healthcare for underserved populations. She has published 4 articles. Dr. Quimper has stated in writing that she and/or her partner do not have any relevant financial relationships with any commercial interests. Caroline Billingsley, MD is an Assistant Professor of Obstetrics and Gynecology, in the Division of Gynecologic Oncology at the University of Cincinnati Health in Cincinnati, Ohio. She received her medical degree in 2008 from the Medical University of South Carolina. In 2015 she completed the Gynecology Oncology Fellowship from The Ohio State University. Her major research and clinical interests include gynecologic cancers, cancer genetics, HPV vaccination, prevention of cervical cancer, and oncofertility. Dr. Billingsley has published 15 articles and 3 book chapters. Dr. Billingsley has stated in writing that both she and her partner/spouse do not have any relevant financial relationships with any commercial entities. Dr. Johnson is the Chairman of the Department of Obstetrics and Gynecology at Wentworth-Douglass Hospital. Dr. Johnson received his medical degree in 1993 at Boston University School of Medicine. In 1998 he completed his residency at Boston Medical center, and in 2001 he completed his fellowship in Maternal Fetal Medicine at The Ohio State University. Dr. Johnson’s clinical and research interests include premature delivery, prenatal diagnosis and infectious diseases. He has published 32 articles and 4 book chapters. Dr. Johnson has stated in writing that he or his spouse do not have any relevant commercial interests. Dr. Kennard is an associate professor and Director for the Division of Reproductive Endocrinology and Infertility at the department of ob/gyn at The Ohio State University. She received her M.D. in 1986 at Case Western Reserve University. Her postgraduate education includes a residency at Cleveland Metropolitan General Hospital (1986-90) and a fellowship at The Ohio State University (1990-92). Her major interests include reproductive endocrinology and infertility. She has published 9 articles, 11 book chapters and authored/edited 1 book. Dr. Kennard stated that she and/or her partner not have any relevant financial relationships to disclose. Dr. Yeomans is a Professor and Chairman in the Department of Obstetrics and Gynecology at Texas Tech University Health Science Center. He received his medical degree in 1980 from the Creighton University School of Medicine. In 1984 Dr. Yeomans completed his Residency at Wilford Hall USAF Medical Center, and in 1987 he completed his Fellowship in MFM at UT Southwestern. Dr. Yeoman’s research and clinical interests include forceps, cord gases and delivery of twins. He has published 35 articles, 20 book chapters and authored and/or edited 4 books. Dr. Yeomans has stated in writing that he has no relevant financial relationships to disclose. Dr. Stockdale is a Clinical Professo in the Department of Obstetrics and Gynecology; Director of Colposcopy Clinic & Vulvar Vaginal Disease Clinic at the University of Iowa Hospitals & Clinics in Iowa City, Iowa. She received her medical degree in 1999 from the Medical College of Pennsylvania. She completed her residency in 1999 at the University of Iowa Hospitals & Clinics. In 2004, she completed a Fellowship at the University of Iowa, K-30 Fellow Clinical Investigation. Her clinical and research interests include lower genital tract disorders, vulvar, vaginal and cervical disorders. She has published 87 articles and 15 book chapters. Dr. Stockdale has stated that she does not have any relevant commercial relationships to disclose. 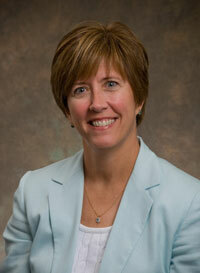 Dr. Strafford is an Associate Clinical Professor, Department of Obstetrics and Gynecology at The Ohio State University. She received her medical degree in 2002 from Northwestern University Medical School. She completed her residency at The Ohio State University in 2006. Her major interests in clinical and research include medical education. She has published 4 article and 1 book chapter. Dr. Strafford has stated that she and/or her partner do not have any relevant financial relationships to disclose. Dr. Shah is an attending urogynecologist and Fellowship Program Director in Female Pelvic Medicine and Reconstructive Surgery at The Christ Hospital in Cincinnati, Ohio. From 2000-2004, she was an Intern and Resident, Brigham and Women’s Hospital/Massachusetts General Hospital, Harvard Medical School. From 2005-2008, she was a Fellow, Female Pelvic Medicine and Reconstructive Surgery at Brigham and Women’s Hospital, Harvard Medical School. She has published 16 articles. Dr. Shah has stated that she does not have any commercial relationships to disclose. Dr. Powell is an Adjunct Professor in the Division of General Gynecology, Department of Obstetrics and Gynecology as well as an Adjunct Associate Professor in the Department of Pediatrics at the Saint Louis University School of Medicine. Dr. Powell is also the Director of Pediatric and Adolescent Gynecology at Cardinal Glennon Children’s Hospital in Saint Louis, MO. She received her medical degree in 1995 from Michigan State University, College of Human Medicine. She completed her residency in 99 from The Ohio State University. Her major interests (research and clinical) include: Pediatric and adolescent gynecology, pediatric vulvar dermatology, gynecologic care for the developmentally disabled, medical student education, non-gynecologic causes of pelvic pain. She has published 3 articles and 3 book chapters. Dr. Powell has stated in writing that she, or her spouse, does not have any relevant commercial relationships to disclose. Dr. McKenna is the Medical Director of the Perinatal Intensive Care Unit at Miami Valley Hospital in Dayton, Ohio. He is also a Clinical Associate Professor of Obstetrics and Gynecology for Wright State university Boonshoft School of Medicine. Dr. McKenna received his medical degree in 1992 from Case Western Reserve, University School of Medicine in Cleveland, Ohio. From 2002-03 he was in the Association of Professors of Obstetrics and Gynecology and Solvey Educational Scholars Development Program. From 1996-98 he was in Fellowship in Maternal Fetal Medicine at The Ohio State University. and from 1992-96 he was in Residency in obstetrics and gynecology at Wright Patterson AFB and Wright State University, Dayton, Ohio. His Major interests (research and clinical) include prematurity, preeclampsia, antenatal steroids, cervical ripening, isoimmunization, obstetrical ultrasound. He has published 51 articles and 5 book chapters. Dr. McKenna has stated in writing that he or his spouse does not have any relevant financial relationships do disclose. Dr. Isley is an Associate Professor – Clinical in the Department of Obstetrics and Gynecology at The Ohio State University Wexner Medical Center& Public Health. She received her medical degree in 2002 from the University of Minnesota Medical School. She completed her residency in 2006 at The Ohio State University Medical Center in the Department of Obstetrics and Gynecology, and in 2008 she completed her fellowship in Family Planning at the Oregon Health and Science University in Portland, OR. In 2008 she completed her Master of Public Health, Epidemiology and Biostatistics, from the Oregon Health and Science University in Portland, OR. Her clinical and research areas include General obstetrics and gynecology; Family planning in general, with special interest in contraception for women with coexisting medical conditions, postpartum contraception, resident and medical student training in abortion and LARC insertion. She has published 16 articles and 7 book chapters. Dr. Isley has stated in writing that she and/or her partner do not have any relevant commercial relationships with any commercial interests to disclose. Dr. Imseis is in private practice with Novant Health Maternal-Fetal Medicine in Charlotte, NC. He received his degree in 1991 from LA State University School of Medicine, New Orleans, LA. In 1995, Dr. Imseis completed his residency in Obstetrics & Gynecology at Duke University Medical Center in Durham, NC. He completed his Fellowship in Maternal Fetal Medicine at The Ohio State University College of Medicine in Columbus, Ohio. His clinical and research interests include preterm birth, medical complications of pregnancy, medical ethics, fetal ultrasound and medical education. He has published 10 articles. Dr. Imseis has stated in writing that he does not have any relevant financial relationships to disclose. Dr. Gabbe is the Emeritus Chief Executive Officer of The Ohio State University Medical Center Wexner Medical Center and a Professor of Obstetrics and Gynecology. He received his medical degree in 1969 at Weill Cornell Medical College. His interests include diabetes mellitus and pregnancy, assessment of fetal well being, premature labor, burnout in obstetrics and gynecology, academic medicine and infant mortality. He has published 181 articles, 84 book chapters and edited/authored 17 books. He has stated in writing that he has no relevant financial relationships to disclose. Dr. Colombo is the Director for Maternal Fetal Medicine for Spectrum Health in Grand Rapids, Michigan. He received his medical degree in 1993 at The Ohio State University. His postgraduate education includes the University of Chicago from 1993-1997, and from 1997-2000 at The Ohio State University. His major interests include cardiac disease in pregnancy, fetal anomalies and maternal disease in pregnancy. He has published 18 articles and 5 book chapters. Dr. Colombo has stated in writing that he does not have any relevant financial/commercial relationships to disclose. Dr. Backes is an associate professor in the department of obstetrics and gynecology, division of gynecologic oncology at The Ohio State University. She received her medical degree in 2004 at the University of Groningen, Netherlands. She completed her residency at The Ohio State University in 2009 and a fellowship in gynecologic oncology at The Ohio State University in 2012. Her major interests include gynecologic oncology. She has published 84 articles and 1 book chapter. Dr. Backes has stated in writing that although she receives research grants from Eisai, Clovis Oncology and Immuno Gen, and receives a consulting fees for being on the advisory board for Tesaro and Merck, as well as receiving travel compensation for being on the steering committee for Advaxis, her lectures are evidence based with no mention of the products from any of these commercial entities. Her lectures were reviewed and found to be free from commercial bias.